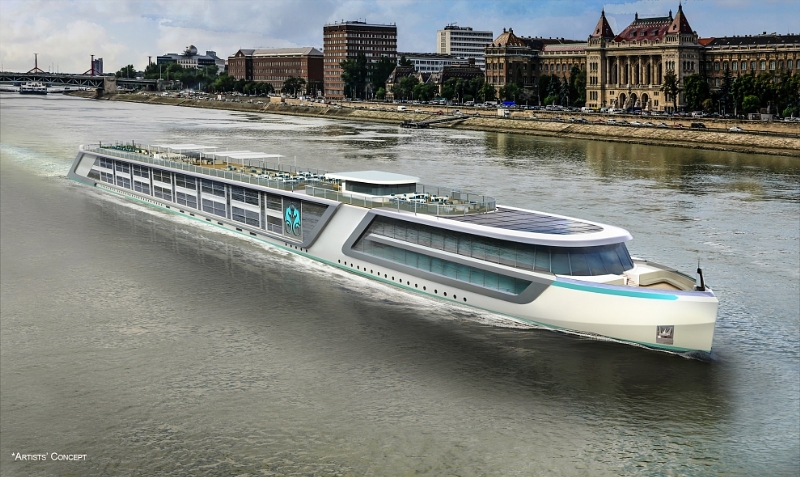 Following the news last month that Crystal Cruises is to expand by adding three new ships, a luxury yacht, a new river brand and an airliner, the company has now revealed more details about it’s river cruise arm, to be known as Crystal River Cruises. Two river yacht vessels will be launched starting in late March 2017. 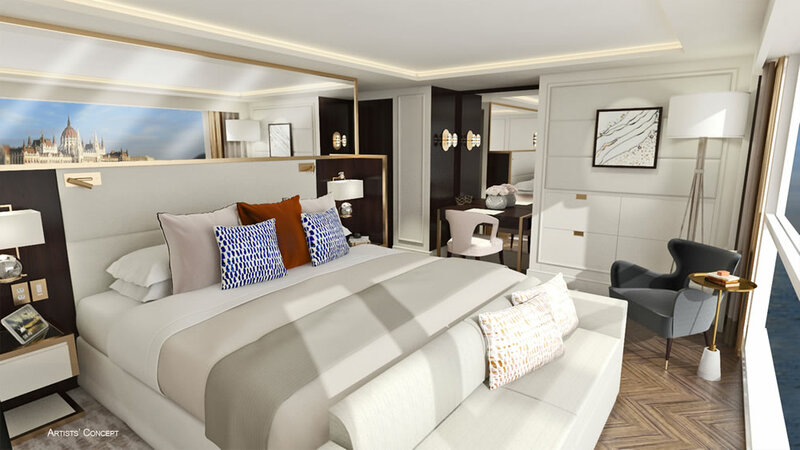 The new vessels will boast a yacht-like design featuring larger accommodations and space-to-guest ratio than any other river cruise ship, and will include Crystal’s signature all-inclusive six-star service together with a fresh approach to the traditional river itineraries and experiences. The 70-suite luxury river yachts will be built by German shipyard Lloyd Werft and will feature 250 square-foot guest suites with walk-in wardrobes, American king size beds and bathrooms with double vanities; two 500 square-foot Penthouse Suites with added comforts and conveniences; spacious public areas, including Palm Court with dance floor and glass domed roof; and a well-appointed fitness centre and spa. The Crystal river cruise ships will cruise along some of the most picturesque rivers in central Europe including destinations such as France, Germany, Switzerland, Holland, Belgium, Austria, Slovakia, Hungary, Croatia, Serbia, Romania and Bulgaria. They will stay in selected ports overnight offering guests the opportunity to experience the local nightlife. The river cruise line will offer itineraries that intentionally deviate from traditional river cruise routes to avoid congestion of other vessels in port. During days spent in port, Crystal River Cruises will offer guests a selection of Crystal Adventures as well as launch its newest shore-side program called Active Exploration Adventures. Tailored for guests wanting a high-intensity shore-side activity, Crystal will offer a complimentary active excursion for guests to explore the splendid European landscapes while staying fit on their vacation. Passengers may also choose to create their own active adventures using the many bicycles (electric or manual), Segways and other active gear available on the ship for independent exploration. A luxury yacht tender will also be available for private yachting experiences that take guests to even more secluded areas within the destinations. Itineraries, fares and bookings for Crystal River Cruises will be available on 1 December 2015.